We introduce ourselves as an eminent manufacturer, trader, retailer and supplier of superior quality Smoke Extract Wall Fans. Ideal for smoke extraction in the case of fire up, the entire range of wall fan is provided in several specifications according to the requirements of customers. This wall fan is manufactured with advance techniques by our professionals using high grade factor inputs. In order to make certain quality and flawlessness, the offered wall fan is properly checked on various industry parameters. We are renowned as the most popular enterprises in this industry, offering an optimum quality Single Inlet Belt Drive. 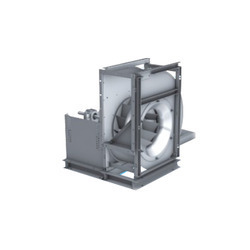 Used as a standard ventilation fan up to maximum +80 °C, these perfectly engineered single inlet fans are widely used in various industries for several applications. 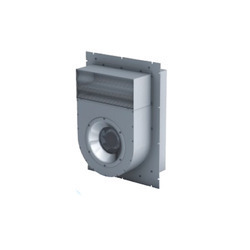 We provide these single inlet fans to our customers after precise quality tests. With a firm commitment to quality, our organization is manufacturing, trading, retailing and supplying a supreme quality Smoke Extract Roof Fans which is easy to mount & suitable for smoke extraction in the case of fire up, the given range of roof fan is precisely designed by our trained professionals consuming the premium quality factor inputs and leading technology in accordance with the set market norms. This fan can be used as standard ventilation fan up to max. +80 degree C.
Backed by the sound experience of the industry, we are able to manufacture, trade, retail and supply a premium quality Smoke Extract Centrifugal Fans which is comes with insulating enclosure & certified for installation inside of buildings - outside room with fire risk, offered centrifugal fans are designed with high precision using excellent quality basic material as per the set market norms. These centrifugal fans are provided in various sizes, dimensions and other associated specifications according to the various needs of customers. Looking for Smoke Extract Fans ?